Let’s take a look at the list of half-siblings of Bollywood and the kind of relationship they share with each other. It is a known fact that Boney Kapoor was first married to Mona Kapoor and later to Sridevi. Boney left Mona and their two kids, Arjun and Anshula for Sridevi who was pregnant with their first daughter. Boney and Sridevi have two daughters together, Janhvi and Khushi. In February 2018, Sridevi’s sudden demise left everyone in deep shock. Her sudden demise left Boney and their daughters, Janhvi and Khushi shattered. Boney’s kids, Arjun and Anshula played the duties of big brother and sister perfectly to Khushi and Janhvi. Shahid Kapoor is the son of ex-couple, Pankaj Kapur and Neelima Azeem. After Neelima and Pankaj’s separation in 1984, both went their separate ways and married different people. Pankaj went on to marry Supriya Pathak and have two kids named Ruhaan and Sanah together. Neelima, on the other hand, decided to marry actor Rajesh Khattar and thye have a son named Ishaan Khatter. 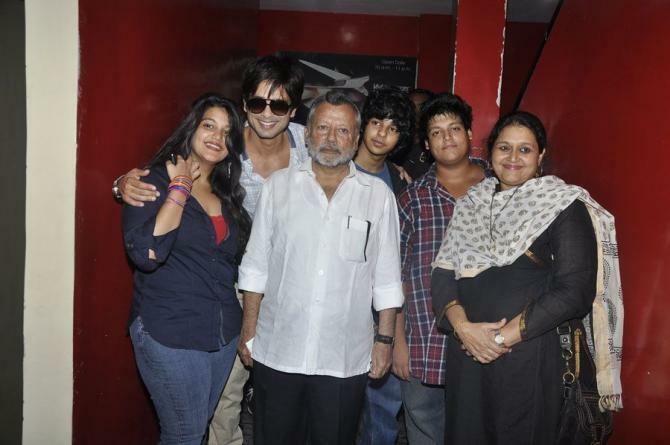 Shahid has three half-siblings from his parents’ second marriages and he shares a very warm bond with all three. Mahesh Bhatt married twice, first to Kiran Bhatt in 1970 and then to Soni Razdan 1986. Mahesh fell for Lorraine who later changed her name to Kiran to marry Mahesh. After a few years of marriage and two kids named Pooja and Rahul, their marriage went sour due to Mahesh’s extra-marital affair with Parveen Babi. The two never got divorced but Mahesh moved on in life and went on to marry actress Soni Razdan. The couple has two daughters named Shaheen and Alia. 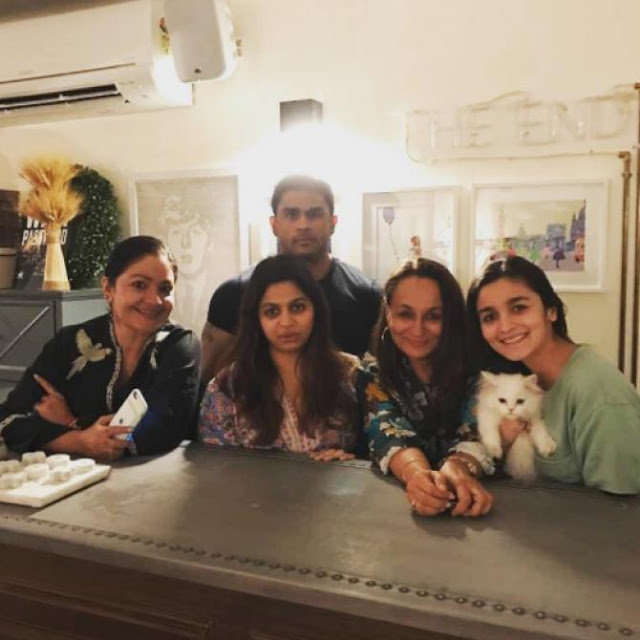 Alia and Shaheen share a great bond with their half-siblings Pooja and Rahul. Pooja treats Alia and Shaheen like her little sisters. 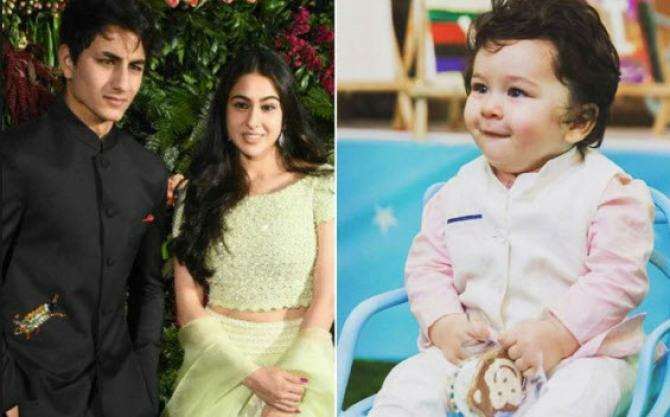 Taimur, Sara and Ibrahim are the kids of royal family of Pataudis. 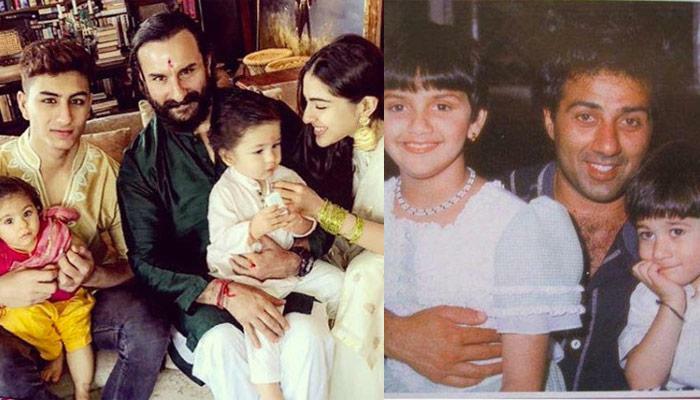 Saif Ali Khan was once married to Amrita Singh and together they have two kids named Sara and Ibrahim.. After their divorce, Sara and Ibrahim were raised by their mom, Amrita. Though the ex-couple doesn’t share a cordial relationship after the divorce, the kids always bonded well with their father and his current wife, Kareena Kapoor Khan. Both Sara and Ibrahim share a great bond with step-mom, Kareena, and their step-baby brother, Taimur. Aamir was married to his teenage love, Reena Dutta for 16 long years but ended up getting divorced on an amicable note. They have two kids named Junaid Khan and Ira Khan from their wedlock. 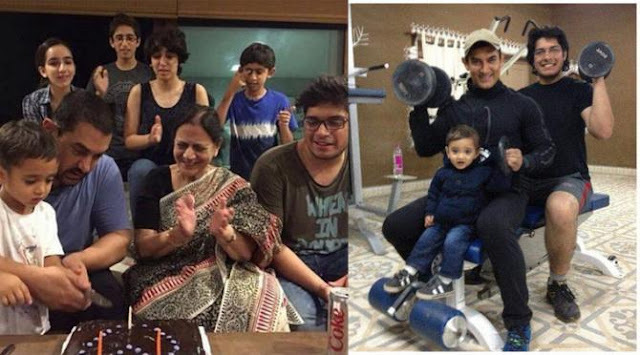 Aamir later went on to marry Kiran Rao in 2005 and had a son named Azad through surrogacy in 2011. Junaid and Ira share a great bond with their baby brother, Azad and there are no negative vibes in the family. They are even close to their father’s second wife, Kiran Rao. 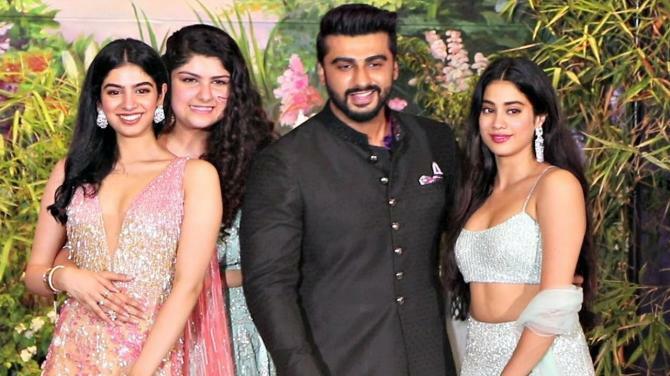 Not much is known about the relationship between these half-siblings but there are whispers in the B-town that with years, the relationship between Bobby-Sunny and their half-sisters, Esha and Ahana has grown from cordial to wonderful. Sunny and Bobby love Esha and Ahana like their own sisters and are very protective about them. 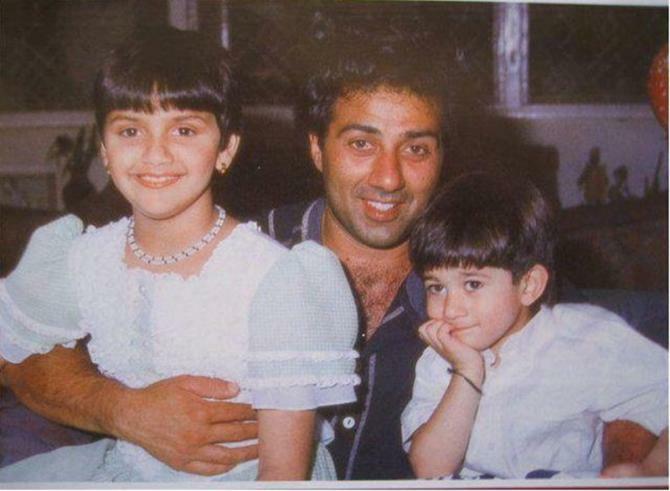 Sanjay Dutt’s life is an open book with three weddings, many failed relationships and finally a happy family. Sanjay, at an early age, got married to Richa Sharma and had a daughter named Trishala from his first marriage. After Richa’s death due to tumour, Sanjay moved on in life and Trishala was brought up in the US by her maternal grandparents. 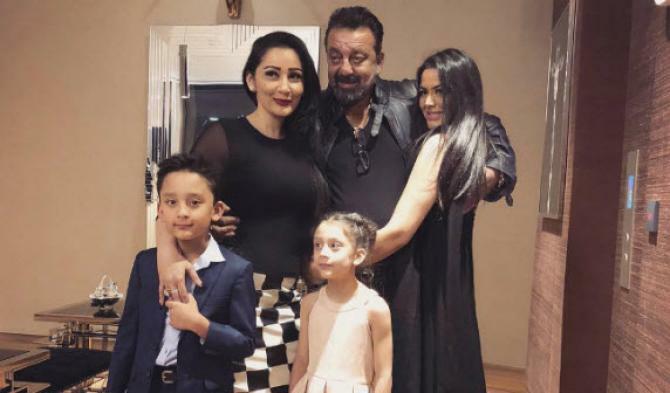 After another failed marriage, Sanjay Dutt finally found the girl of his dreams, Manyata Dutt and went on to marry her in 2008. In 2010, Sanjay and Manyata were blessed with twins, Shahraan and Iqra. Trishala is not only close to Manyata and shares a friendly bond with her, but also loves her half-siblings, Shahraan and Iqra. Kabir Bedi had a rather controversial love life where he went on to marry four different women. 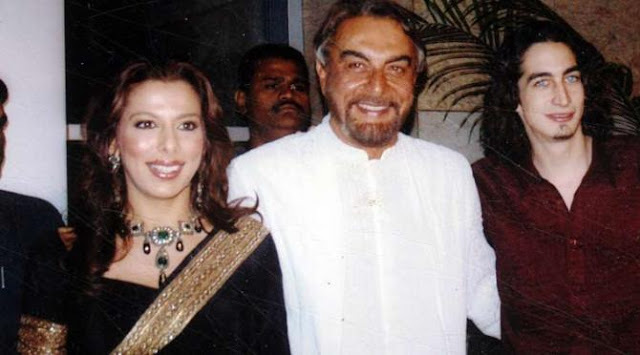 Kabir Bedi got married to Protima Bedi, an Odissi dancer in 1969 and had two children named Pooja Bedi and Siddharth Bedi. Siddharth was diagnosed with schizophrenia and he committed suicide at the age of 26. Kabir later went on to marry a fashion designer named Susan Humphreys and had a son named Adam from that marriage. Pooja is a famous name in Bollywood and her half-brother, Adam is a famous international model. Pooja and Adam share a warm and loving bond with each other and Pooja even attended Adam’s wedding. Though for years, Prateik was raised by his maternal grandmother, Nadira loved him like her own son and today, Prateik, Aarya and Juhi share a warm bond, like any siblings. 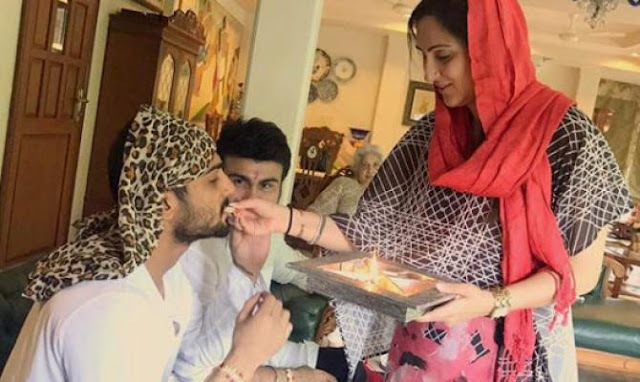 Though Prateik took his own time to accept his father’s first family, the whole Babbar family always treated Prateik with much love and care. After Prateik’s naani passed away, Prateik accepted his father’s first family and even called Nadira his mom and said he often reaches to her for any advice or help. Prateik is very close to his step-sister, Juhi, and shares all his secrets with her.